Best Christmas Markets to visit this season! Even though some might not like to admit it, Christmas is well and truly on it’s way! Whether you’re a lover of everything festive or a bit of a scrooge, there’s no escaping it so you may as well try and enjoy it! Why not escape the busy shopping centres and packed out department stores by shopping at a Christmas Market this year? They’re full of one off goodies and you’ll be helping many small businesses whilst enjoying a nice cup of mulled wine and maybe a cheeky mince pie! We have compiled a list of the best Christmas markets in the UK to get you in the festive spirit! There are plenty of Christmas markets to choose from in London but Winter Wonderland is definitely the best! Admission is free and it’s open from Thursday 22nd of November to 6th January (exc. 25th December) 10am - 10pm so there is loads of time to visit! There are plenty of stalls, rides and you can even go ice skating and visit the ice bar but make sure to book any activities as they fill up quickly! This Christmas market takes place at East Prince St Gardens and will run from 17th November - 5th January 10am - 10pm (exc. 25th December). Described as a ‘traditional and romantic christmas market’ you are offered a unique shopping experience with stalls selling crafts, art and yummy food! There is also a big wheel, Helter Skelter and other attractions, so it’s great to take the kids! Soak up the festive atmosphere at this beautiful christmas market set in the grounds of Blenheim Palace, running from 23rd November - 16th December in the Great Court. It’s the perfect place to start your Christmas shopping with stalls selling ceramics, home ware, leather goods, jewellery, toys, bags and much more! Soak up York’s medieval charm and enjoy a cup of mulled wine at the St Nicholas fair. Running from 15th November - 23rd December, opening times vary please see website for details. We’d recommend heading for some ice skating fun at the Ice Factor and watching some playful panto fun in the stalls! 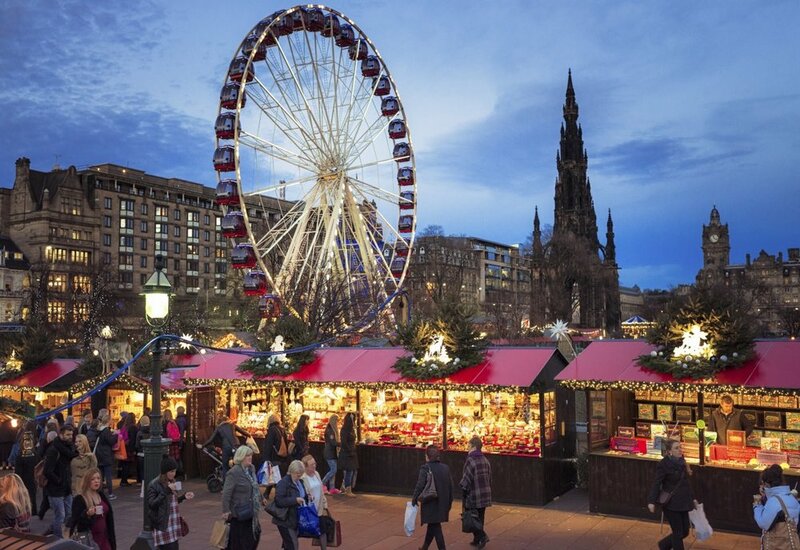 Boasting the largest outdoor Christmas market in the UK, this isn’t one to be missed! Running from November 15th - December 23rd you have plenty of time to wander! The market takes place in Victoria Square and along New Street and will feature a whole host of stalls selling everything from Chrsitmas decorations to a traditional bratwurst sausage. On December 9th there will be a range of 1 day discounts to celebrate the annual Family Day. That’s our round up of the 5 best Christmas Markets in the UK, so wherever you live you can enjoy the magic of Christmas!